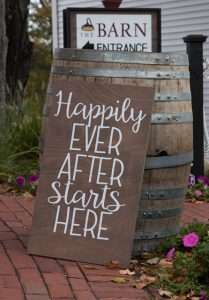 And by wine, we mean wine barrels! 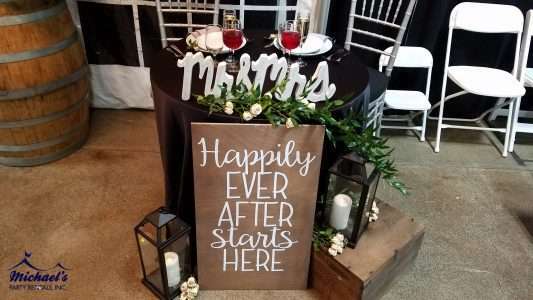 We are obsessed with these photos one of our fall wedding couples sent in! 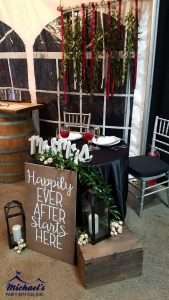 They used one of our wine barrels to prop up a sign as you entered their wedding venue. 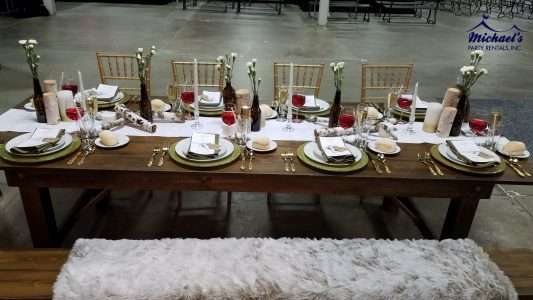 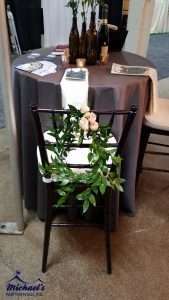 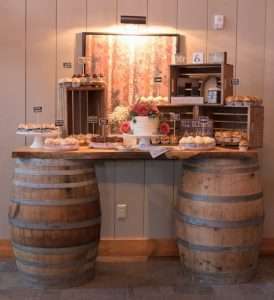 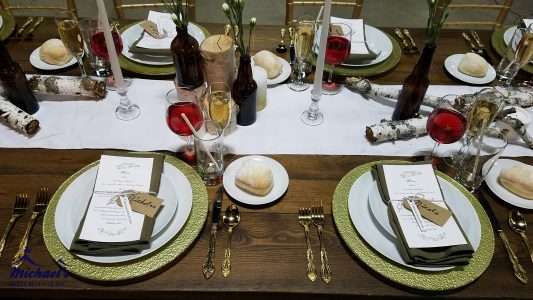 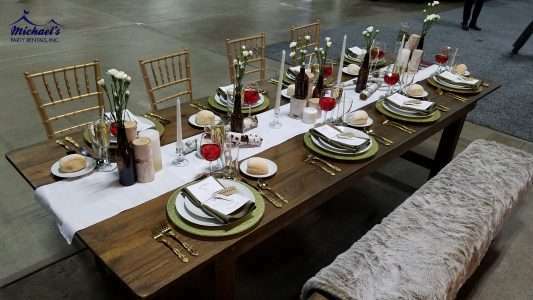 They used our 6′ plank bar with wine barrels for their desserts. 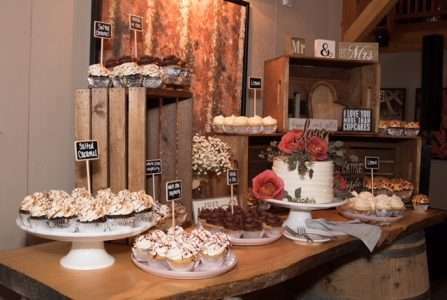 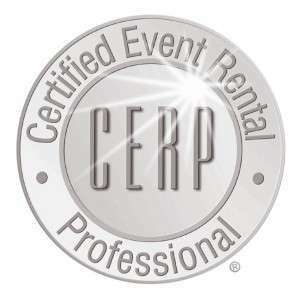 If you’re interested in any of these items for your upcoming wedding, give us a call today!